Considering the abysmal shrinkage of BlackBerry’s handset sales, it’s unlikely that the company will be able to reverse such losses, even if Chen can successfully push out a cheaper Android device (sans keyboard). This doesn’t mean the end of BBRY, but it does mean the end of BBRY’s most prominent consumer-facing division. According to comScore’s most recent 2016 U.S. Smartphone Subscriber Market Share report, BlackBerry represents only 0.8% of the entire market, compared with 52.7% for Alphabet Inc’s (GOOGL, GOOG) Android OS and 43.9% for Apple Inc.’s (AAPL) iOS. BlackBerry market share has never come close to rivaling Android or iOS, and has shrunk from 1.8% to the current 0.8% over the past 12 months. While one percentage point isn’t usually a big deal, for a struggling device maker on the brink of extinction and competing with the likes of Google, Apple, Samsung Electronics (SSNLF) and even Microsoft Corporation (MSFT), the loss of that one point could quite literally be the death of the BBRY handset, especially considering the rate at which BlackBerry’s handset sales have declined. Last year, I touched on this very subject and opined that it’s time for BlackBerry to stop selling phones. As expected, considering the immense loyalty of the traditional BlackBerry device owner, that editorial was met with a rash of criticism, anger and outright hostility from diehard fans. However, since the publication of my earlier article, BlackBerry stock has declined over 40%, revenue is down 40%, and net income has tanked by 1,085%. Simply put, something has to give. Otherwise, BBRY stock will continue to tumble. Fortunately for BlackBerry stock, the company has value beyond just handsets. In fact, BBRY software sales have grown 131% year over year. 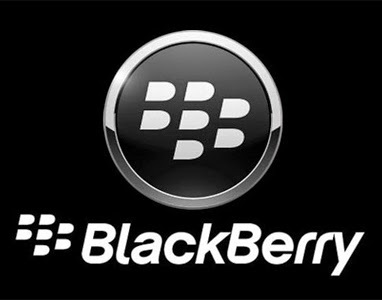 Eliminating the hardware division entirely would allow Chen to focus the entirety of his company’s resources on software and security, the only things that have kept BlackBerry from disappearing completely. Expect BlackBerry stock to continue its downward spiral for the next several months until CEO John Chen finally confirms the decision to stop making phones. When that announcement is made, though, BBRY stock could actually see a bump upward as analysts and investors examine the prospects of that software-only existence.